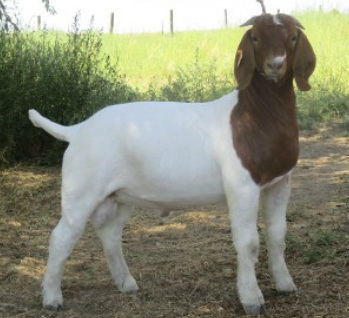 He produced the Grand Champion and Reserve Grand Champion Wethers at the Deschutes County Fair in 2015! 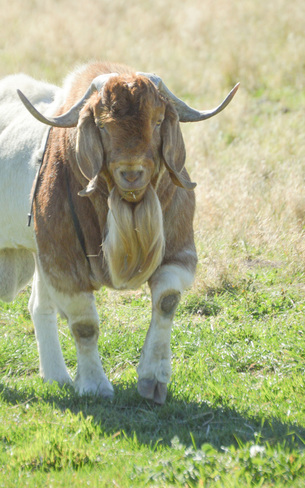 Purchased from Capriole's Boer Goats. Owned by CX2 Boers. He passed away in June 2016. One of his offspring placed 4th in the state fair feeder light weight class at the 2015 FFA Oregon State Fair! He produced the Grand Champion Wether at the Deschutes County Fair 2016! We had the amazing opportunity to purchase Fivestar from Culver Family Farm! Fivestar has had an amazing show career with many Overall Champion Buck awards. Owned by CX2 Boers. Passed away Summer 2018.